Welcome to the University Catholic Community! "It is only right that the reparation for abortion is found not by clinging to guilt and despair, but by trusting in God's love. Accepting God's forgiveness is your first step toward an obedience which is rooted in both faith and hope, and it is your only escape from the tar pit of despair. Rachel Ministries is a compassionate faith-based abortion recovery ministry. Rachel Ministries is a safe place to find emotional and spiritual healing after an abortion experience. 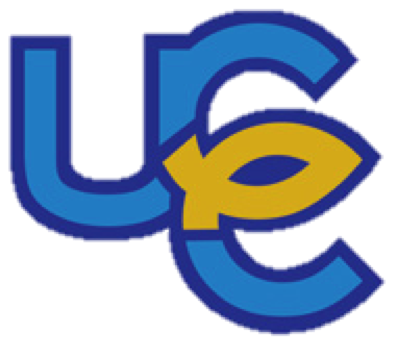 The UCC at UTA is a community of students from UTA and TCC striving to grow deeper in our Catholic faith. We do this through participation in the Sacraments, fun social events, retreats, community service, and small group discipleship. The UCC building is available for study, hanging out, playing pool and video games, grabbing a snack, praying in the Blessed Sacrament chapel and an occasional mid-day nap. The UCC is a place to find and build a community that will help you journey through the college years and develop friendships that will stay with you for years to come. Check out our facebook page for the latest going-ons. ClLICK HERE to get to the donations website. Once there click the “donate now” button toward the bottom of the page and be sure to select “University of Texas Arlington Catholic Community” from the dropdown menu. Maverick Awakening 8 is coming in the Fall of 2019. Are you Catholic but never received the Sacrament of Confirmation? Or do you just want to learn what the Catholic Church teaches and believes? The UCC has a building off campus. It is located at 1010 Benge Dr, right next door to Maverick Place Apts - see below for information on reaching us via the UTA shuttle system.